Brodsworth Main are up to third in Division One following a 42-run win at Hooton Pagnell. Josh Rutherford top scored with 35 as Brodsworth - who have won back-to-back promotions - posted 165 all out from their 43.2 overs. Joshua John claimed 5-49 and Matthew Harrison took 3-33. 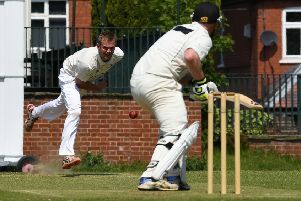 Hooton lost wickets from the outset and despite the best efforts of Steve Hardaker (25) to hold the innings together the home side fell to 123 all out. Craig Richardson finished with figures of 3-39. 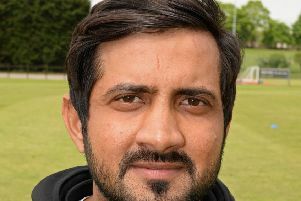 Jeff Morton and Sachira Madapatha both scored unbeaten centuries in a dominant win for fifth placed Askern Welfare over Hatfield Town. Morton (103no) and Madapatha (108no) combined to devastating effect to lift the home side to a massive 333-3 from their 46 overs. Man of the match Madapatha then assumed control with the ball by taking 6-50. Town reached 191 all out in reply, including 49 from Luke Cockburn, 45 from Paul Cutts and 42 from Paul Davies. Barnby Dun suffered their first league defeat of the season at Glasshoughton in Division Two. Liam Hopton top scored with 62 and Alex Clemo reached 50 as the hosts put the pressure on by posting 261-7. James Copley took 3-66. Barnby lost early wickets in response and were skittled out for 102 in 20.1 overs. Rossington Main missed an opportunity to climb Division Four when they suffered a surprisingly heavy defeat to Ferrybridge Power Station. Main were bowled out for just 38 chasing 201.